The Catalina Island Company is delighted to welcome you to Two Harbors, Southern California’s original island paradise. 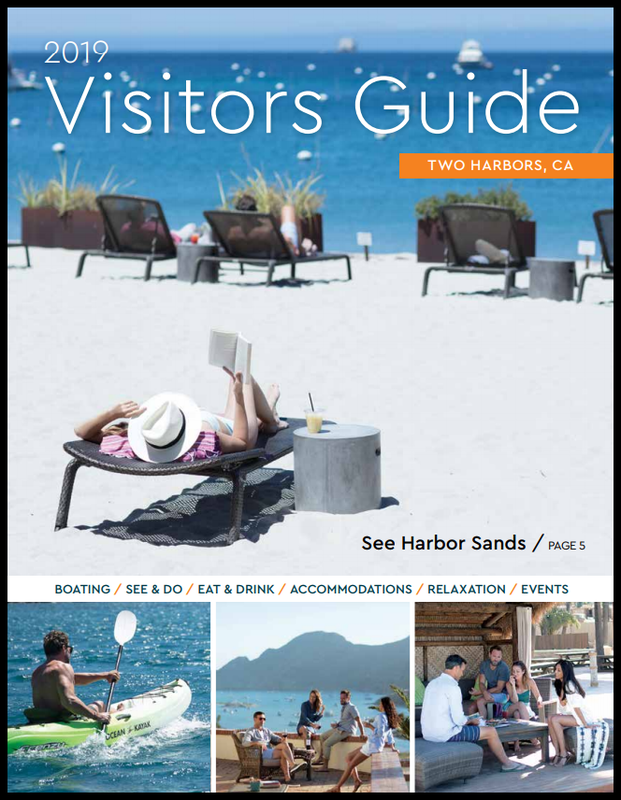 From the moment you arrive, Two Harbors' natural beauty and friendly vibe puts you on island time, so you can enjoy leisurely days and quiet nights apart from the "hustle & bustle" of Avalon "city" life. With 11 coves and more than 700 moorings to choose from, you'll find easy, safe and comfortable spots to explore, swim, dine or just relax. The Harbor Office is open 365 days a year, and our staff is always available to assist you with a mooring, point out ideal dive spots, and advise you on ways to make the most of your stay.